Brockmans Gin is bringing back its handsome Holiday gift carton. The pack is designed to provide shoppers with a sophisticated and convenient gifting option and retailers with an eye-catching gift package to drive incremental sales of Brockmans during the busy Holiday season. Brockmans gift carton is dark and stylish, mirroring the brand’s elegant, tactile bottle. Brockmans Gin was recently awarded Gold Medals in three prestigious international competitions including the inaugural Global Spirits Awards, the 2017 SIP awards and the 2017 International Craft Spirits Awards. 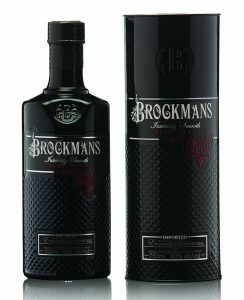 Brockmans’ gift carton with 750ml of award-winning Brockmans Gin will be available beginning in October 2018 for a suggested price of $34.99.